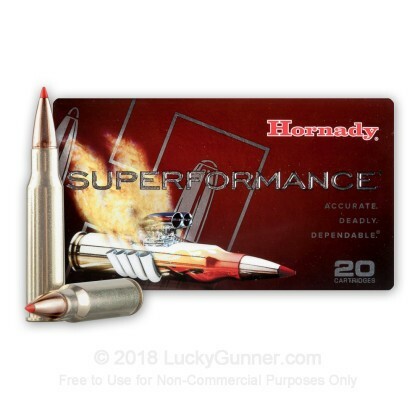 Flat-shooting, lethal, and lead-free: this hunting load from Hornady's Superformance line does it all. 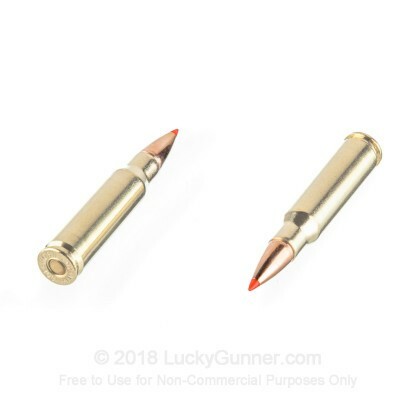 These .308 Winchester cartridges are designed to take deer with ease through the use of advanced propellants that produce higher muzzle velocities and better terminal performance without increased recoil or barrel fouling. 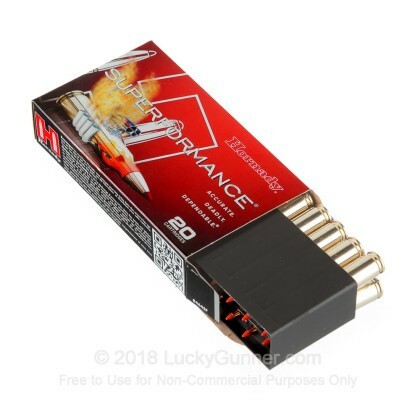 You won't be firing off hundreds of rounds in the field, so this premium ammo is well worth it if you want to make a quick, clean kill! 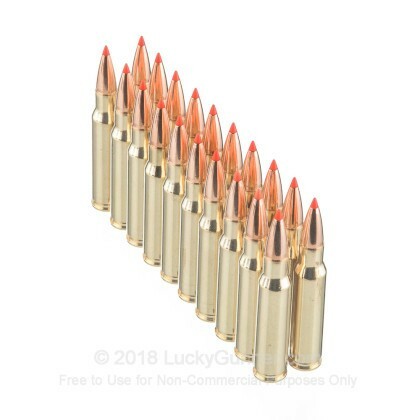 Each cartridge in this box of 20 fires a 150 grain polymer tipped copper alloy GMX hollow point bullet at a muzzle velocity of 2,940 feet per second. 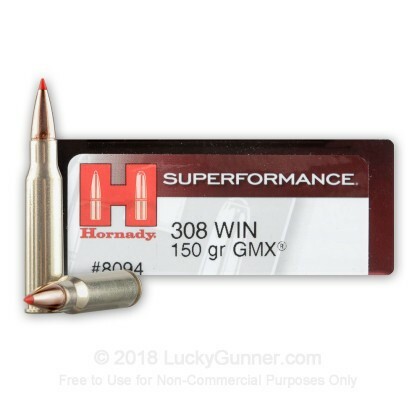 This is about 200 feet per second faster than typical .308 loads and results in lower sensitivity to wind and temperature factors as well as more effective mushrooming once the bullet strikes an animal. Hornady has established a strong track record for quality and innovative engineering since its establishment in the 1940s. 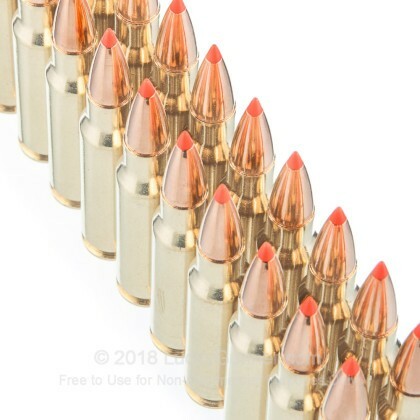 This ammunition is loaded at their headquarters and main production facility in Grand Island, Nebraska using non-corrosive Boxer primers and brass cases.